Our favorite stylish celebs made their way to Paris for Haute Couture Fashion Week and made sure to serve conversation-worthy looks. From Tracee Ellis Ross to Jourdan Dunn, see the best moments from the streets of Paris here! Tracee Ellis Ross outside Rodarte during Paris Fashion Week - Haute Couture Fall/Winter 2017-2018 in Paris, France. Winnie Harlow is seen arriving at the 'Christian Dior' show during Paris Fashion Week - Haute Couture Fall/Winter 2017-2018 in Paris, France. Jourdan Dunn outside the Miu Miu Cruise 2018 in Paris, France. Tracee Ellis Ross attends the Schiaparelli Haute Couture Fall/Winter 2017-2018 show at Haute Couture Paris Fashion in Paris, France. Joan Smalls and Kendall Jenner attend Miu Miu Cruise Collection cocktail & party as part of Haute Couture Paris Fashion in Paris, France. French model Cindy Bruna attends the amfAR dinner at the Grand Palais in Paris. Tina Kunakey attends the amfAR Paris Dinner 2017 in Paris, France. Noemie Lenoir attend the amfAR Paris Dinner 2017 in Paris, France. 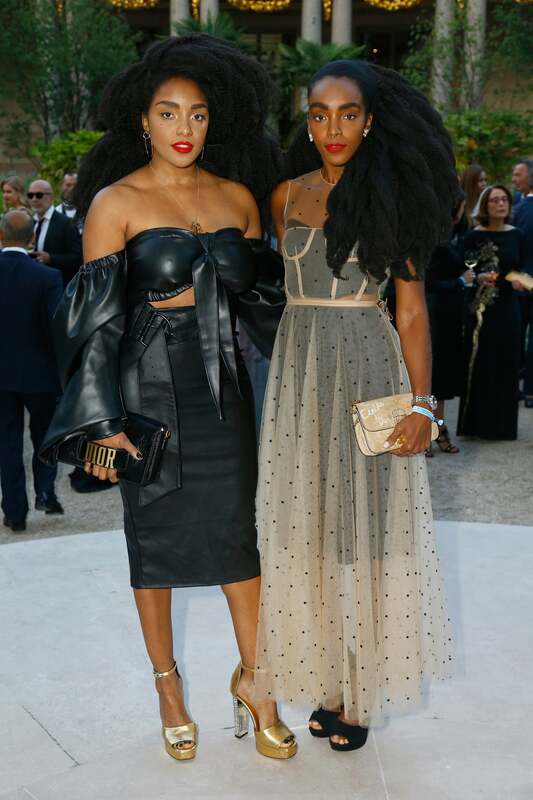 TK and Cipriana Quann attend the amfAR Paris Dinner 2017 in Paris, France.